This two weekends ago was the celebration of the 100th anniversary of the North Carolina State Parks. 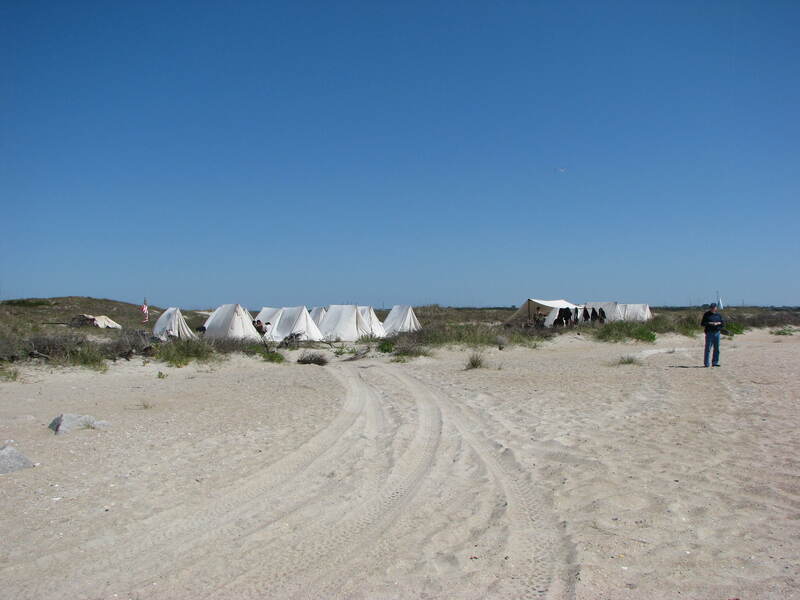 Fort Macon State Park had a huge re-enactment of the Siege of Fort Macon as part of the celebration. I’ve never seen this many participants at the fort in all the years I’ve lived in this area. There were cannon firings, demonstrations of Civil War dress for men and women, children’s marching drills, musket firings and marching drills, displays about the way of life during the Civil War and an evening concert and fireworks. 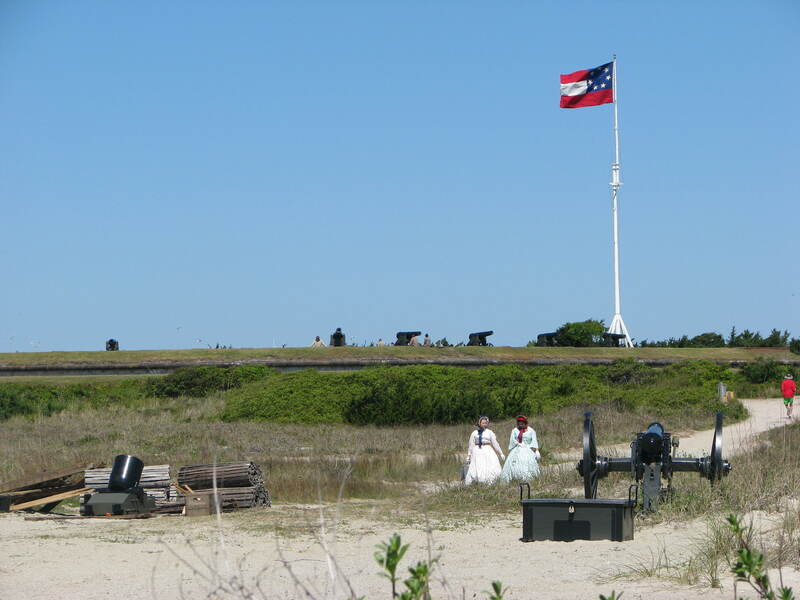 During the day, the Confederate forces held the fort and were bivouacked inside. 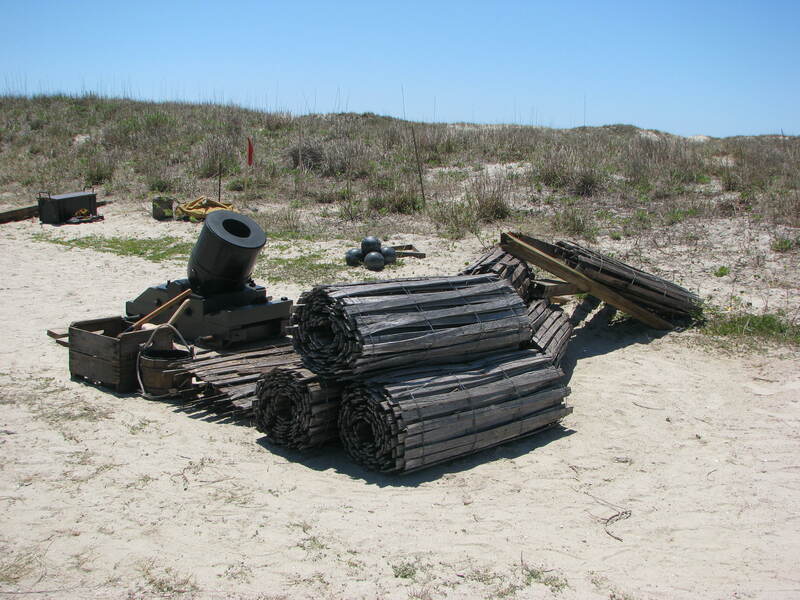 The Union forces were laying siege to the fort and were camped on the beach, with their cannons and mortars. Right alongside our flying beach. In fact, we had to go around a barricade across the path in order to get to the beach. In honor of the celebration, two special rokkakus were flown. One was for the Confederate States and one was for the Union States. These were made for the AKA Convention at Gettysburg, PA in 2008. 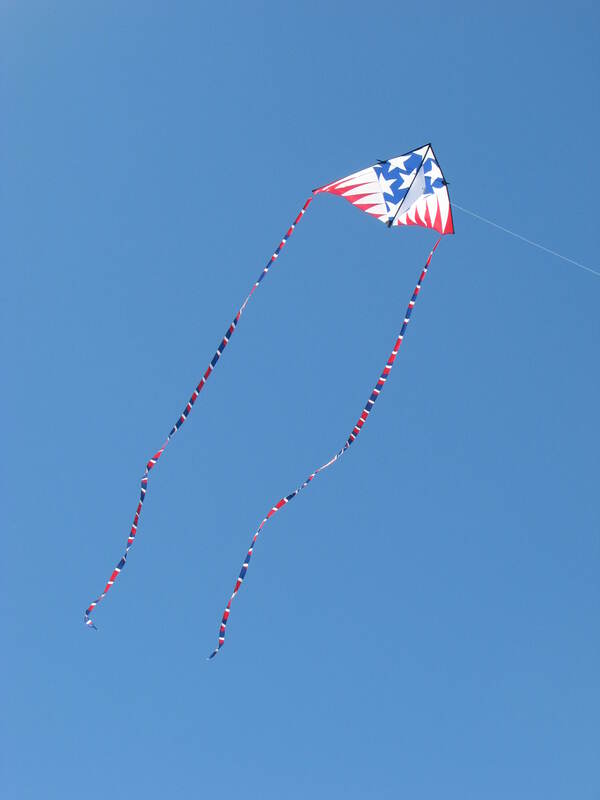 Our personal tribute to the anniversary of the NC State Parks was a RWB delta kite with transition tails. 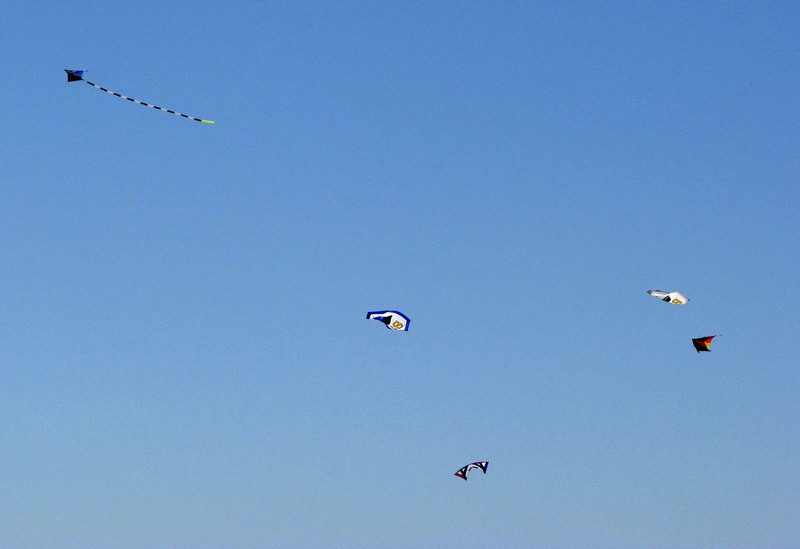 Along with these various other delta kites and critter kites added color in the sky. 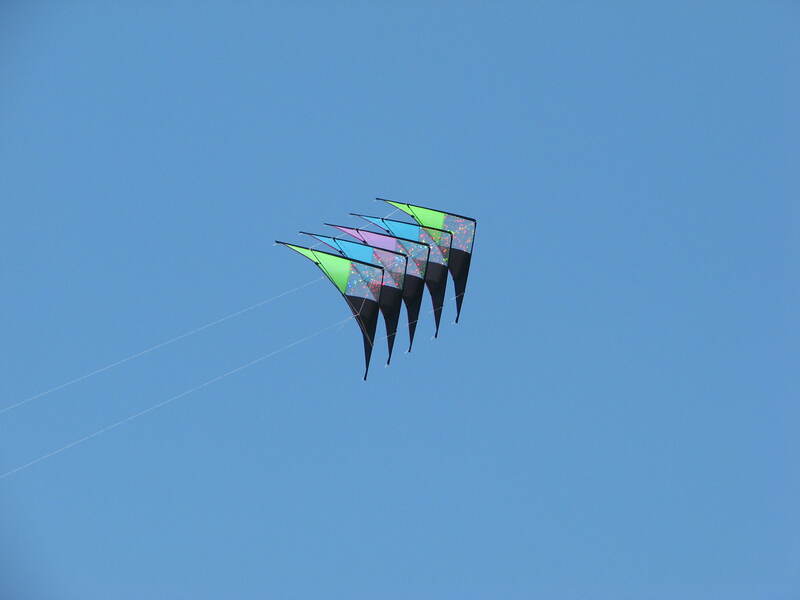 After all the single line kites were flying and anchored, I began the long-awaited maiden flight of my five-stack of Goblins. I’ve had a three-stack for quite a while and just recently decided to expand to five. 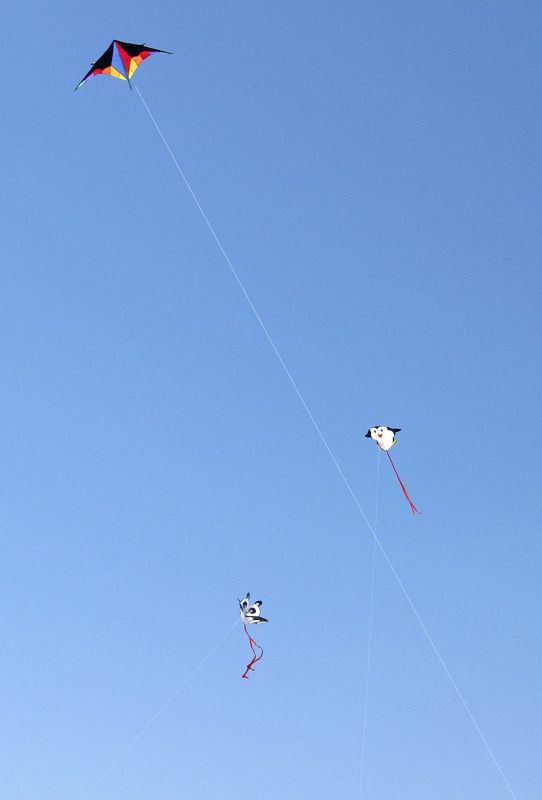 The Goblin is a smaller dual-line stunt kite that is practically indestructible. 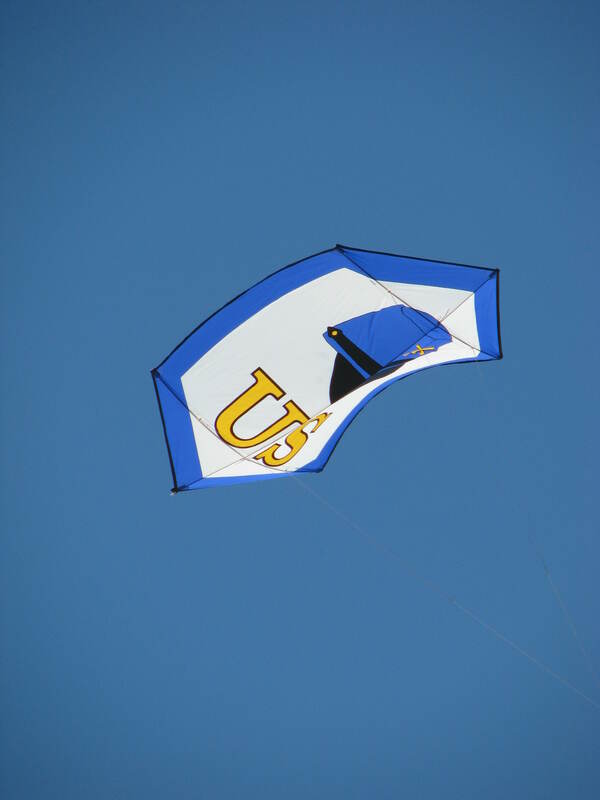 It’s a great beginner stunt kite and, when stacked, provides more “pull” for experienced flyers. And they look really great in the sky because of the Prismatex center panel. It gives a sparkling holographic effect when the sun hits it. After some bridle adjustments, the stack took off and tried to take me with it. The “pull” was surprising even though I was expecting it. And I couldn’t stop grinning for a while after landing them. The next time they, fly I will have tails attached. It should be an even better show. We went home that afternoon tired and happy. And already planning the next kite club fly. 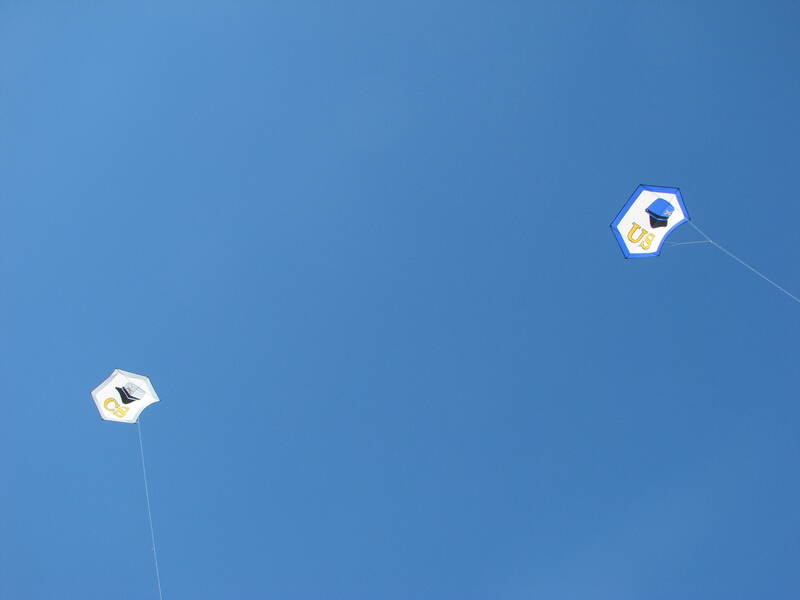 Hi I know this is an old post but hopefully you’ll see it, I used to fly kites with my father when I was younger and have just recently got back into it. My first stunt kite was a goblin and I was hoping to get a new one just for old times sake and memories but looking online I can’t seem to find them. 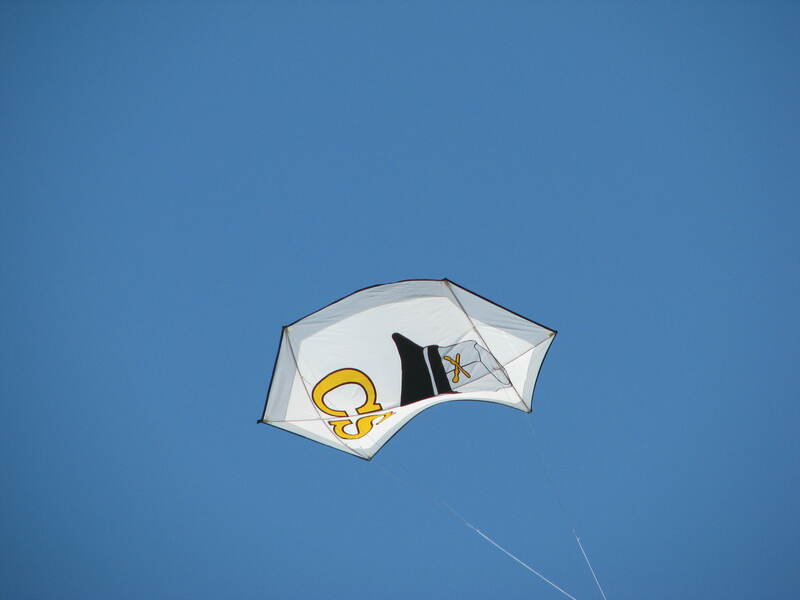 Could you tell me what company made that kite or do you know of somewhere that I can buy one online. Thanks in advance. I’m sorry that I’m just getting back to you. I’ve let the blog slip a little (or a lot). The only place that Goblins are available that I know of is Kites Unlimited & Bird Stuff in Atlantic Beach, NC. They don’t do online sales so you would have to call them. 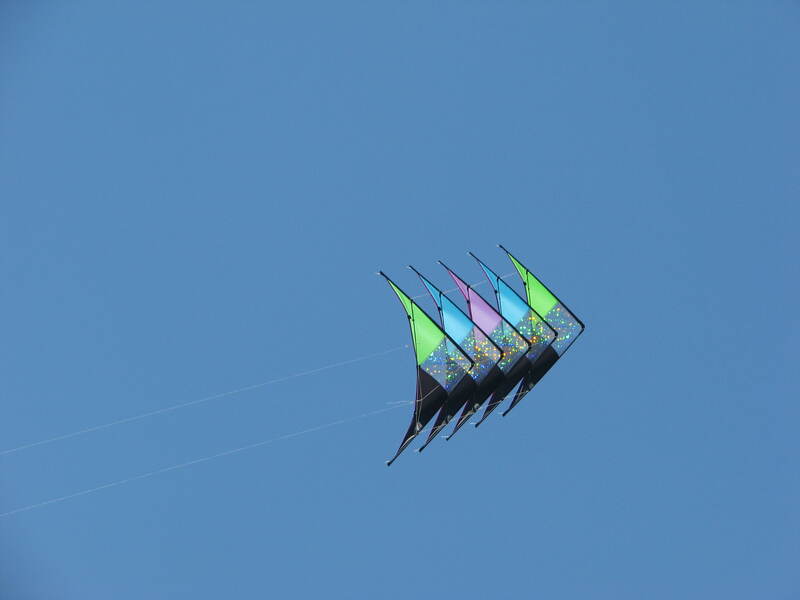 Their FB page is https://www.facebook.com/Kites-Unlimited-BirdStuff-etc-82661657778/.